Ada County Sheriff’s detectives are working to find whoever shot fireworks into the Foothills off Table Rock Road just before midnight Wednesday — a decision that led to a range fire that destroyed one home and put dozens of others at risk. By Thursday afternoon, the fire had burned over 2600 acres in the desert surrounding Table Rock Road. 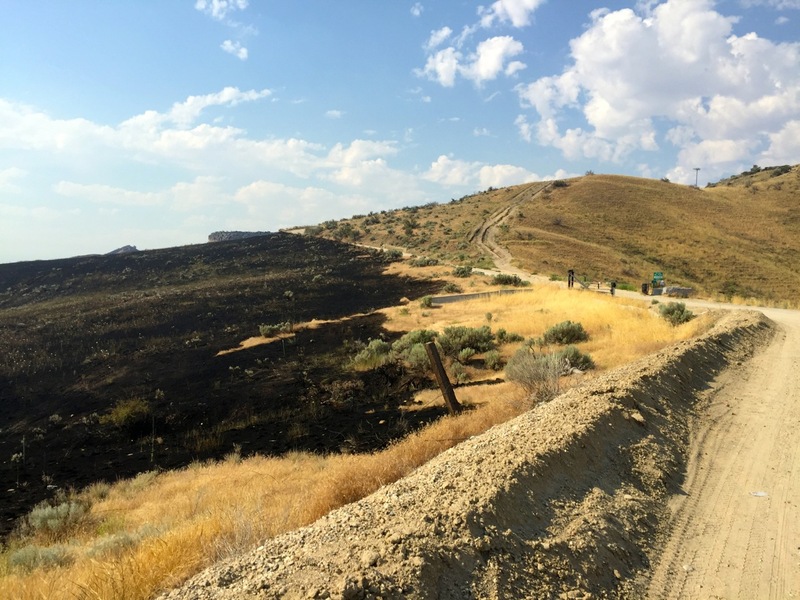 Boise Fire and Bureau of Land Management crews were able to stop the spread of the blaze overnight. The fire did consume one home on Pheasant Lane and an outbuilding nearby. Ada County 911 Dispatchers received numerous reports of people lighting off fireworks near Table Rock Road before the hillside caught fire just before midnight. ACSO detectives determined the fire ignited off the north side of Table Rock Road right by the gate that goes across the road near the top of the plateau. It is illegal to light off fireworks in the Ada County Foothills. Anyone who violates the Ada County fireworks ordinance is guilty of a misdemeanor, which is punishable by up to six months in jail and a $1,000 fine.